In addition to the over 200 permanent residents cared for daily at Bat World Sanctuary, we rescue hundreds of bats annually and return them back to the wild. We also support organizations both nationally and internationally that rescue and release bats back to the wild. In fact, we track these efforts on our Rescue Log which highlights the great work we’re doing across the GLOBE! 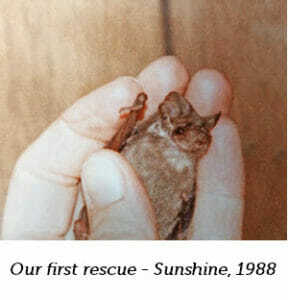 provide assistance through our Sunshine Bat Rescue Club, you will enable continued support of bats in need worldwide. Why $0.88 cents? Because that is the year of our very first rescue of a bat named “Sunshine”, who became the inspiration for Bat World Sanctuary. Since then, tens of thousands of bats around the world have been rescued in her name. When you register for the Sunshine Bat Rescue Club, you pledge to donate $0.88 each time we support the rescue of a bat. We use the Rescue Log as the “official” counter. 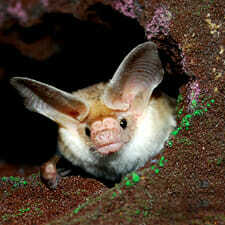 At the end of the month, you’ll donate $0.88 for each bat rescued that month per the Rescue Log. 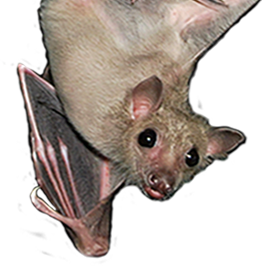 For example, the Rescue Log highlighted the help of 16 bats in December 2017, which would have generated a $14.08 donation. We’ll provide you with a monthly summary that highlights the number of bats you helped to rescue. And, you can cap your monthly donation so that you support only as many rescues as is appropriate for your budget. Sign me up for the Sunshine Club! I want to make a one time donation only.